Cranberry Wine packs a tart cranberry punch with a smooth and sweet finish. Serve it as an aperitif. Drink it with traditional holiday meals or enjoy it as dessert. Serve chilled. 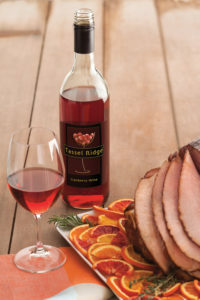 Tassel Ridge Cranberry Wine is available at the Winery and at some of our 450 retailers in Iowa. If you don’t see Cranberry Wine at your favorite store, ask the manager to get it for you.